Please choose where to go to! 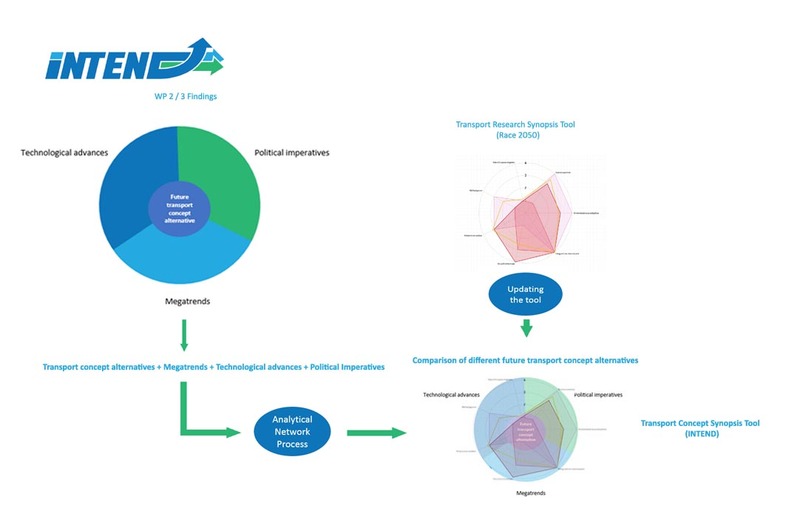 This tool has been developed in the Horizon2020 project Intend and allows to compare the influence of different Megatrends, Political Imperatives and Technological Advances on Selected Transport Concepts of the Future. This tool has been developed in the FP7 project Race 2050 and allows to compare the assessments of European transport industry foresights. What is the purpose of the Intend Synopsis Tool? The tool constitutes a dynamic knowledge base repository on the major developments in the transport sector. It provides a visualization of the INTEND’s main outcomes. 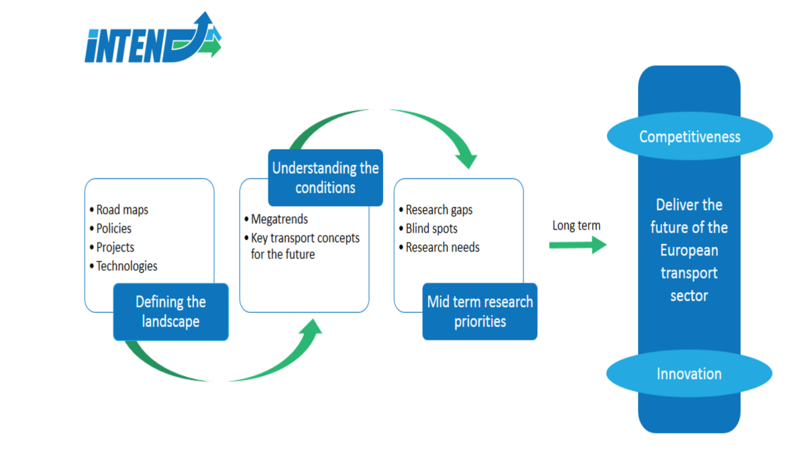 The basis for the platform is the Transport Research Synopsis Tool which has already been developed in the project RACE2050 coordinated by TUB. The new tool, will be updated and integrated into the INTEND website, provides a comprehensive picture of all forward-looking studies focusing on technological developments, megatrends and policies. 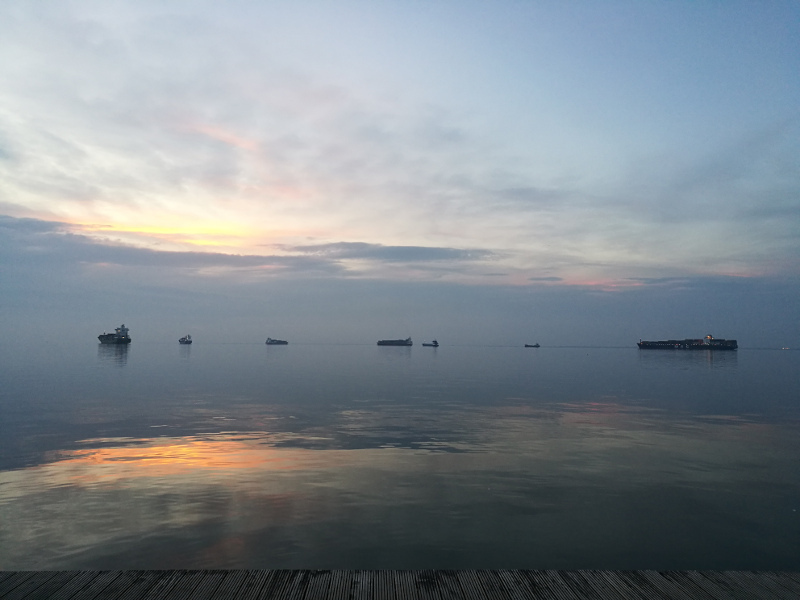 The Synopsis Tool is showing the outcomes of the pairwise impact assessment of different Megatrends, Political Imperatives, and Technological Advances impact on the priority of key transport concepts of the future (TCF). Following the Analytical Network Process (ANP) Approach it was thus, based on experts’ assessment, possible to rank selected TCF according to the relevancy of each sub-category of Technological Advances, Political Imperatives and Megatrends. Via the control panel on the right side of the tool it is possible to enable the slider showing the spider graphs, ranking the TCF according to their relevancy, for a certain Megatrend, Political Imperative or Technological Advances by stakeholder. What are “Transport Concepts of the Future”? 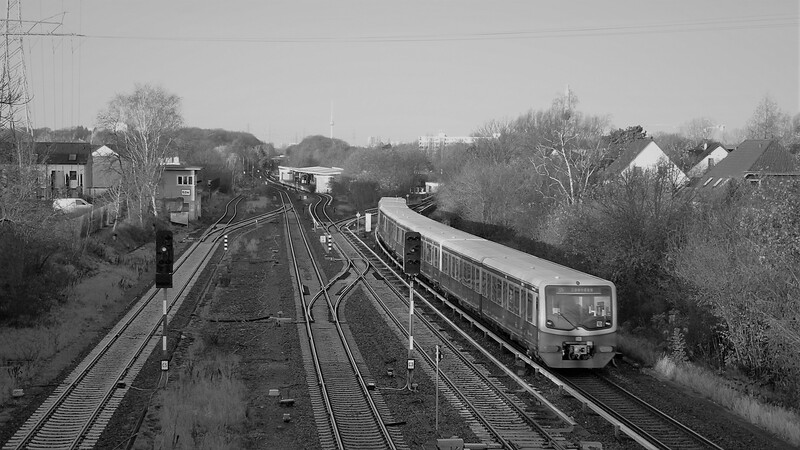 “Transport concepts” have been identified as concepts or ideas that present how mobility takes place between two places, referring to movement of passengers or freight. They might describe the vehicle and the way that transportation or mobility takes place. 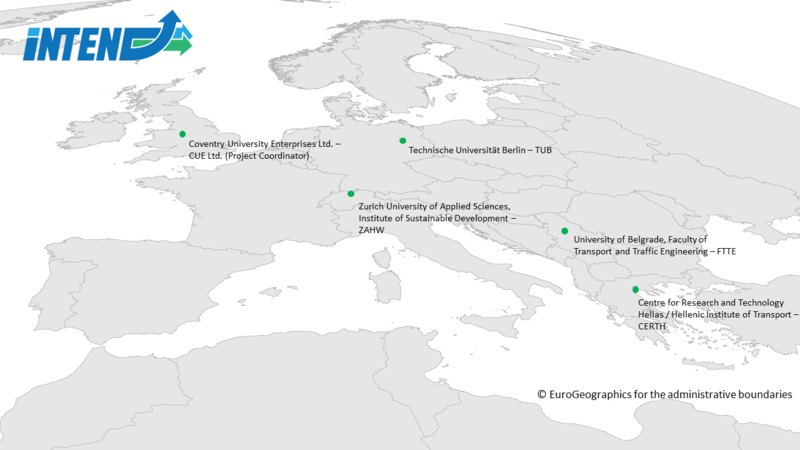 Within the frame of the project task T 2.2 relevant “Transport concepts of the future” have been identified through a methodology based on an extended literature research. 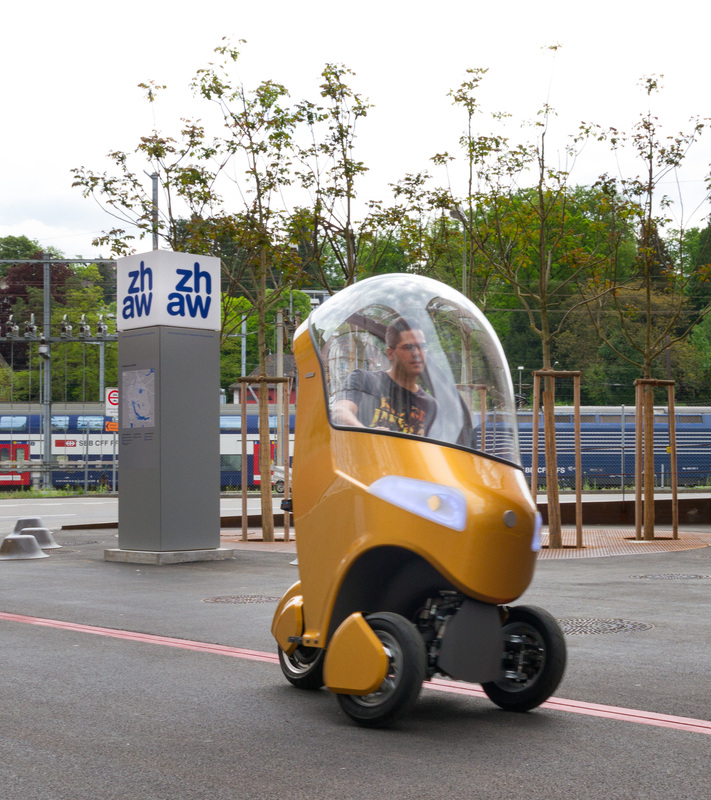 The most relevant “Transport concepts of the future” were validated through expert interviews and, as a second step, the application of the ANP. Megatrends represent cultural, economic, political and technological changes that are currently taking place and the effects or implications of megatrends are reflected on the whole or almost entire society. 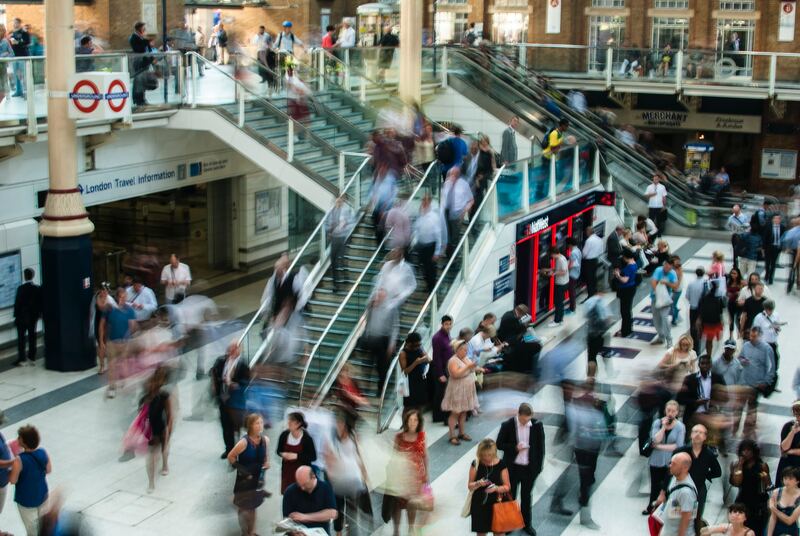 In contrast to trends, megatrends last longer and have a stronger influence in various areas. Moreover, trend development patterns are easier to understand and predict than those of megatrends. 1.A PI can be a demand or claim to take a certain action or realize a certain target state and is usually formulated by politicians (as part of the political debate), NGO’s, private entities (e.g. 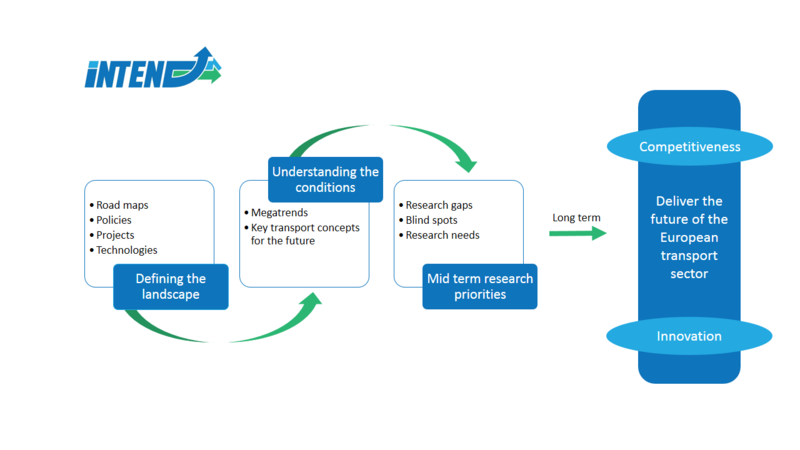 companies) and research institutions, to give an example. 2.A PI can be a formulated intention to take a certain action or realize a desired target state by politicians or political bodies like governments, ministries etc. The formulated demand or claim can also be seen as a first step in the political discourse to shape actual political action. Technological Advances are basically key transport technologies with an outlook of 2020 – 2035 across the four transport modes (road, aviation, rail and maritime) including infrastructure and transport system which were treated horizontally. What does the methodological concept behind the tool’s data look like? The data of the tool is based on an Excel-Sheet containing the results of the Analytical Network Process (ANP). The basis of the ANP methodology is that the results are obtained through the perception of experts belonging to different interest groups. 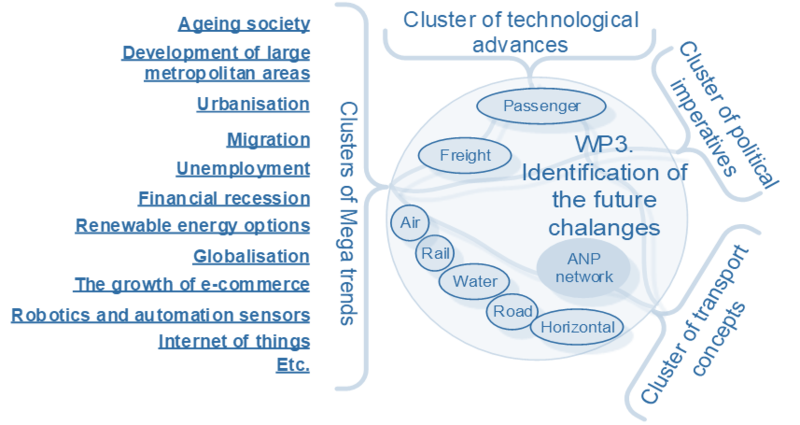 The INTEND survey session, in which ninety representatives from three different groups (academia, policy making, and industry) participated, helped to structure the ANP model, and to perform the pairwise assessment of elements while pointing out the megatrends, political imperatives, and technological advances impact on the priority of key transport concepts of the future. The pairwise comparison combined with an impartial attitude of the respondents from the different group implies that an estimation of megatrends impact on a TCFs is the equal treated or similar without any difference. For more information on ANP, please check the related Deliverables of WP 3. Urbanization and megacities	 higher population densities, improvements in cities infrastructure, environmental and health risks; PPP models; more sustainable cities.